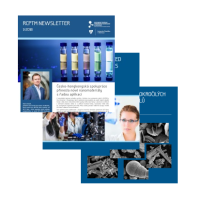 HomeNews Rozsáhlá rodina uhlíkových nanoalotropů: Klasifikace, chemické aspekty a aplikace fulerenů, uhlíkových teček, nanotrubiček, grafenu, nanodiamantu a superstruktur. Rozsáhlá rodina uhlíkových nanoalotropů: Klasifikace, chemické aspekty a aplikace fulerenů, uhlíkových teček, nanotrubiček, grafenu, nanodiamantu a superstruktur. 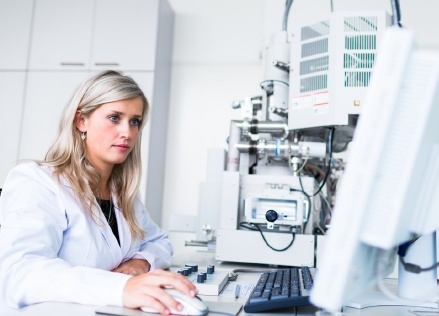 In 2015, the RCPTM researchers published the review paper in Chemical Reviews which firstly systematically classifies all the currently existing carbon (nano)allotropes and thoroughly describes their properties in relation to their structural characteristics. The first chapters focus on the structures and basic characterization of the known carbon nanoallotropes classified with respect to their dimensionality (0D, 1D, and 2D); the established methods for preparing the most important carbon nanoallotropes are also covered stressing their relative merits and drawbacks. The attention is devoted to the physicochemical properties of carbon nanoallotropes, which are discussed in the context of their diverse potential applications in nanotechnology. 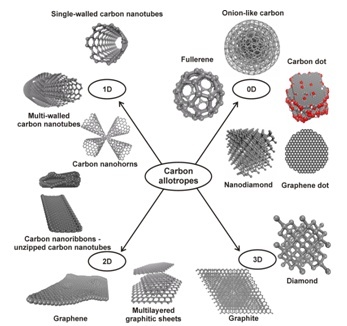 The review also covers the issue of chemical modification of carbon nanoallotropes with division into several sections based on the origins of the chemical reactivity in each case. Other chapters report transformation among various carbon nanoallotropes and superstructures and hybrids that are formed by combining different carbon nanoallotropes. The review also discusses hypothetical/predicted carbon nanoallotropes along with structures that have been predicted to exist and prepared at very high pressures. The properties of these model systems can be predicted on the basis of computational studies prior to their synthesis, facilitating their discovery and providing motivation for their preparation. Finally, the review work highlights the application potential of individual carbon nanoallotropes and their hybrids and proposes new carbon-based nanoarchitectures with properties imparted due to cooperation and synergistic effects.